NDP health critic Don Davies. 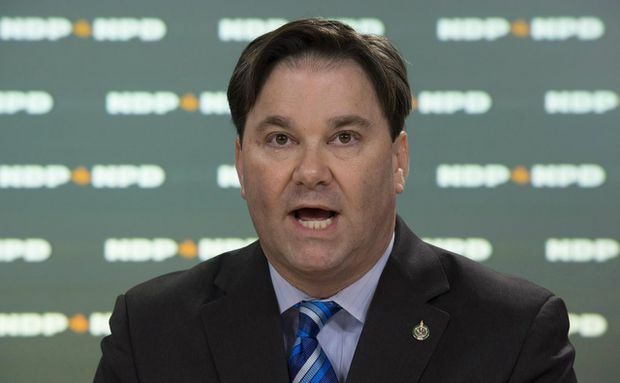 The RCMP should immediately launch an investigation into all allegations of forced and coerced sterilizations in Canada, says NDP health critic Don Davies. Davies sent a letter to RCMP Commissioner Brenda Lucki Thursday, urging action on the issue because “multiple, credible allegations of crimes” have been made. “There is no question that under both Canadian law and international conventions to which Canada is a signatory, forced or coerced sterilizations comprise clear crimes, including assault and torture,” Davies said. Indigenous women in Saskatchewan have come forward and reported they were forced or coerced into tubal ligations against their will and in “clear circumstances of duress,” he said. He added that an external report on the Saskatoon Health Region in 2017 highlighted the experiences of Indigenous women who had been coerced into tubal ligations. One of the authors of that report, Metis lawyer and researcher Yvonne Boyer, is now a senator for Ontario who has concerns about the prevalence of the issue across Canada. She is urging the Senate’s Human Rights Committee to study its scope nationally. Davies’ letter to the RCMP also referenced a class-action lawsuit filed in Saskatchewan that represents 60 women filed in Saskatchewan against the province, the federal government, regional health authorities and individual doctors over the alleged incidents. “Subsequent media coverage has led more women from across Canada to disclose that they too have been victims of forced or coerced sterilization in recent years,” Davies said in his letter. Alisa Lombard, the lawyer leading the lawsuit, said the firm has heard allegations from Indigenous women in several other provinces including Manitoba, Ontario and Alberta. In December, the United Nations Committee Against Torture found the allegations amounted to torture and urged Canada to take action to address them, giving a one year window to report back with progress. All allegations, including recent ones in Saskatchewan, must be impartially investigated and those responsible must be held to account, the Geneva-based committee said, adding the state needs to take legislative and policy measures in response. Health Canada and Indigenous Services subsequently proposed a working group with officials from the provinces and territories, as well as the medical community, to discuss the issue and the need for improved cultural competency in health. The first meeting is expected in early March though Health Canada has not confirmed which provinces and territories are willing to participate. Quebec has declined the invitation. A spokesperson for Quebec Health Minister Danielle McCann said last week the province is very sensitive to the issue of coerced sterilization but insisted it is already having talks with a number of First Nations in Quebec and health care falls within provincial jurisdiction. At the end of January, the House of Commons health committee also agreed to a two-day study of the issue of coerced sterilization but Davies said he fears time will run out before the House of Commons rises in June. The issue is now fourth out of four issues to be examined, he said.